Rather, he said, IRS officials were confused about how to implement the law governing those kinds of tax-exempt groups. He acknowledged that then-IRS Commissioner Doug Shulman had been to the White House more than 100 times but said he couldn’t recall speaking to him on any of those occasions. Yeah, I’m buying that. NOT! The Obama Regime is so corrupt it makes Nixon look like an altar boy. Obama met with most of his cabinet members so few times he couldn’t pick them out of a lineup, and yet the IRS commish darkens his door over a hundred times and Obama “can’t recall”? Yeah. Right! The hogs at the trough. Perhaps delusional marxist Hussein Obama is pre-occupied with his continued jihad against the “rise of the oceans”? The most corrupt person in this country is brakabama. He wasn’t qualified to answer the question. No laws were broken here!! Little Lord Barry doesn’t have to take the 5th since he wasn’t there, didn’t hear anything, barely saw anything. The disturbing thing is that he is making these denials AFTER people resigned, or were transferred and eventually promoted, and took the fifth to escape prosecution for what never happened. People who lie believe their own lies. 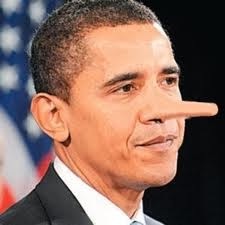 Obama can lie with impunity now. He only speaks to his own leftist Democratic base, there is no more need to worry about swing voters. And he knows the blacks, diehard leftists, single women, and crusading young people will swallow what ever he says (or don’t care if it is lies). If O’Reilly were half as smart as he thinks himself, he might have asked Obama how he could be so sure there was no corruption since he only found out about it by reading the papers and doesn’t remember Shulman. Where does he get his info on the ongoing investigation? As annoyingly in love with himself as BOR is, at least he creates jobs. Without BOR, that body language lady would be totally out of work. And the Proudly Centrist Americans (TM) this interview settles it for them: Obama is good, and all this crap is the fault of Republicans and Democrats alike because they are stupidey stupidheads and life is hard, and they need to get back to work because the price of gas and milk just went up again. Interesting in that that pic was an old one I mocked several years ago. Could be Manning was channeling Obama. It would explain a lot. A flaming cesspool is more than a “smidgen”. Either he’s lying, or he’s back on crack. Somehow, the later option would be more comforting to me. The Daley Gator | How far will the Left go to silence us?